The driving experience is relaxing, and automatic is the theme. With your phone as the key, you simply approach the car open the door, push one click up on the gear stalk and back out. Once you’re on any road with lines the steering wheel on the screen back highlights and you know autopilot is available. Two clicks down on the stalk and autopilot is activated and you can let the car to the work. The Autopilot itself is incredibly similar to one in an airplane. Command the car via voice to navigate to a destination and engage Autopilot. Now driving is relegated more to monitoring and much less manual effort. Similar to an aircraft’s autopilot system there are situations you know and learn to “click” the autopilot off and take over manually. In the Tesla, it’s just slightly more pressure on the steering wheel to deactivate the autopilot. Then two clicks down on the gear stalk to reengage and enjoy a relaxing monitoring drive. In normal traffic, the vehicle comes to a stop and follows traffic at the predetermined car length distance driver selected. You still hover your foot over the brake and follow along on the controls to ensure the vehicle controls and performs exactly as you desire. It signals and takes highway entrance ramps and exit ramps. Once on “Navigate” the Tesla entered the freeway entrance making an almost 90-degree turn. On Navigate the Tesla automatically signals and exits the freeway as well. On most two-hour drive commutes, it’s possible to actually only drive manually for less than 5 minutes mainly on intersections making 90-degree turns. Here also see other pilots' explanation of Tesla Autopilot. Driving on autopilot is a learning experience, as it takes a few days to know the limitations. Most of the limitations result from road human errors: from faded lines in the road to areas when the lines of the lanes do not merge together properly. Sometimes the autopilot knows which areas start to cause problems as it will give warning to take control if it has difficulty in possible lane detection. Also, as of writing, it cannot detect red traffic lights, therefore autobraking is not available at a red light unless a vehicle is stopping in front of you. The Tesla autopilot driving experience will change your perception of other vehicles, even exotic vehicles. You’ll quickly conclude they have been relegated to relics. It makes one wonder how quickly gas vehicles could fade away. When the autopilot trial ended it’s as if more than half the capabilities of the car went away. 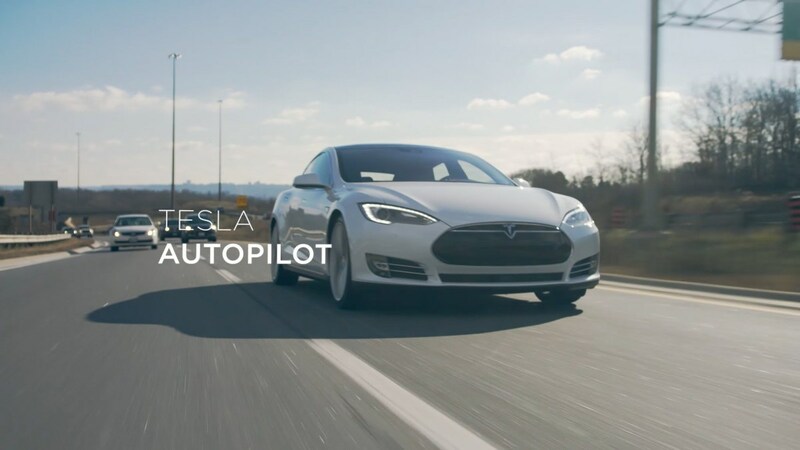 The Tesla autopilot experience cannot be simply put into words. Experience the Tesla driving experience first-hand by visiting your nearest Tesla store and ask for a test drive!